Right now, we are offering these black practice hoops in any custom size with your choice of one grip color for just $19! Perfect for the hooper on a budget! We also offer these hoops in two different tubing diameters. 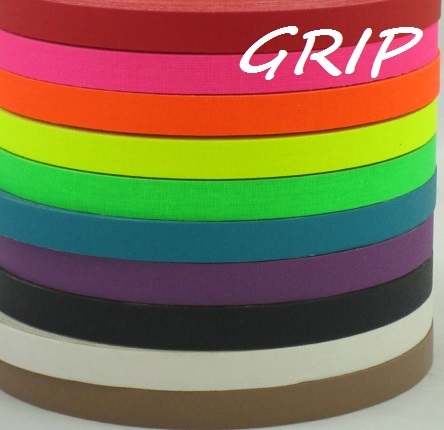 3/4″ is thicker and heavier, so it is better suited for beginners. 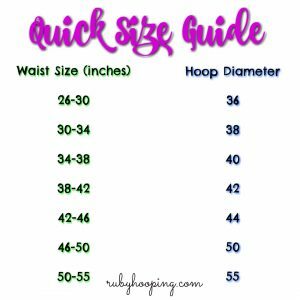 1/2″ is skinnier and lighter, better suited for intermediate and advanced hoopers, and/or children. PLEASE NOTE: 32″ thru 35″ diameter is not available in 3/4″ PE tubing. We will automatically change your order to 1/2″ PE if you select this. 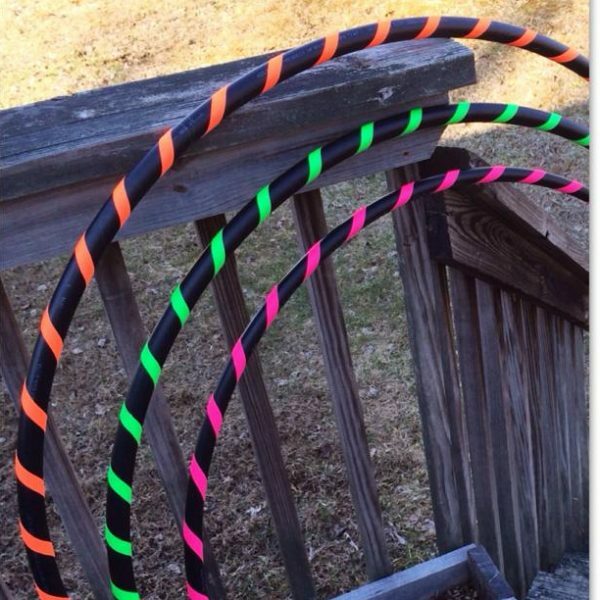 If you’d like a Big Mama budget hoop for sizes over 44″ up to 55″, click here! I am obsessed with this new hula hoop in my possession…thank you Lindsay! Eat pasta for dinner, hula. Angry that Walking Dead didn’t record, hula. Insomnia, hula. Hanging on my door knob staring at me this morn, hula. Why not? I love, love, love my new Ruby Hooping hoop! I ordered a 44″ for core exercise. The join is perfect. It is well-balanced and unfolded easily, and was quick to shape up to perfectly round. And it’s beautiful! I got electric blue gaff tape, which looks awesome on the black. Highly recommend! I ordered this hula hoop to see how I would like a lighter and small hoop. Absolutely love it! 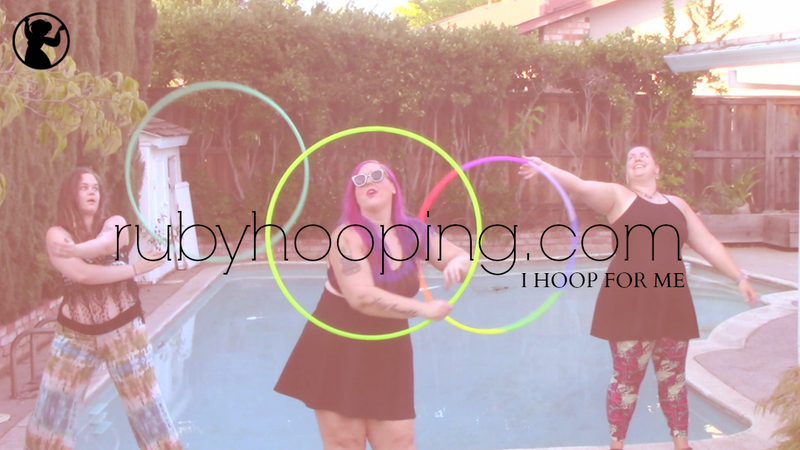 Ruby Hooping was great to work with and I got sooner than I expected. Would definitely recommend this one for anyone that wants to try out hooping or try a different weight or sized hoop. Great price! Hi! I just got my hoops and they are beautiful but a little warped, how do I get them back into shape?